DOUBLE HDMI WALL FACEPLATE - HDMI adaptor splitter converter coupler adapter, Hdmi Cables Same Day Dispatch On Our Leads If You Order Before 2pm Weekdays. Has HDMI socket inside with approximately 16cm cable. Shielded to reduce interference from other cables. The professional way to run HDMI cables behind walls. You are advised to test HDMI cables and faceplates in place using the intended devices at first fix stage, before commencing any plaster / boarding work as there are many variables which can affect signal performance when using long cables. 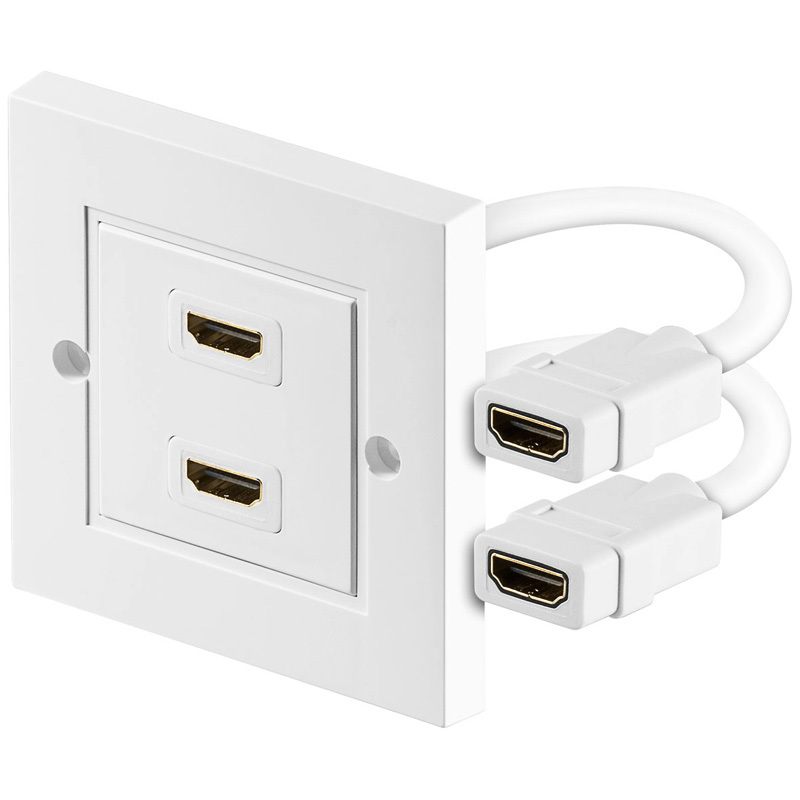 Currently viewing: DOUBLE HDMI WALL FACEPLATE - HDMI adaptor splitter converter coupler adapter, Hdmi Cables Same Day Dispatch On Our Leads If You Order Before 2pm Weekdays.